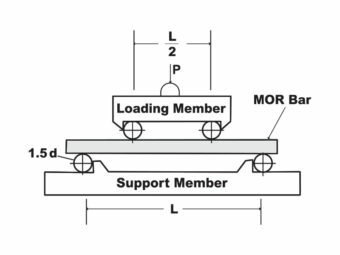 MOR Bars, Standard Test Method for Flexural Strength of Advanced Ceramics | BMS Bomas Machine Specialties, Inc. This photo illustrates MOR bars are broken for material strength. MOR = Modulus of Rupture. This is a Standard Test Method for Flexural Strength of Advanced Ceramics. This illustration shows a 4-point test. 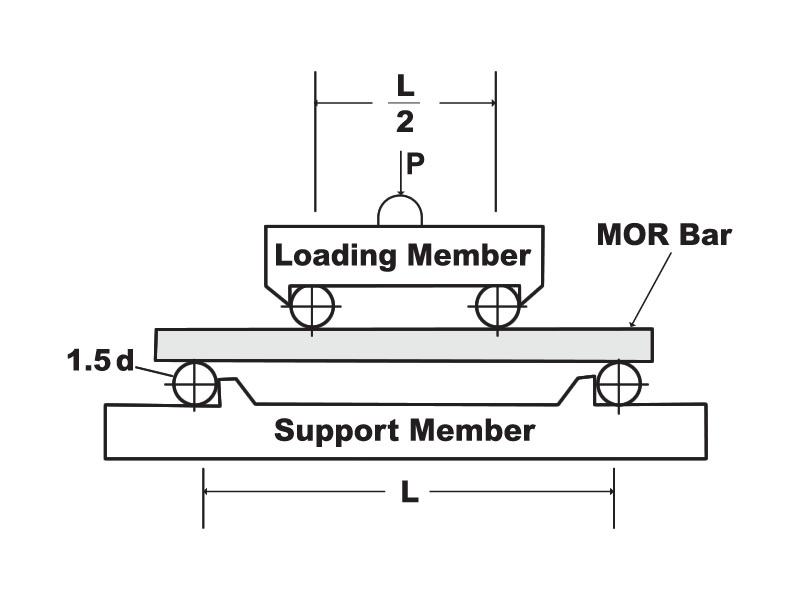 As you can see , there are 4 contact points on the bar. There is also a 3-point test. Bomas is also known for custom test fixtures machined to exacting client specifications.